I have recently summarized the limited evidence concerning the use of Azodyl, a popular probiotic product, for treatment of kidney disease in cats, including a recent study presented as an abstract at the American College of Veterinary Internal Medicine Forum. Another study of this product has also been presented at the same conference. This was a considerably more comprehensive research project, though still with some limitations, as is always true. 32 dogs with moderate kidney failure were randomly assigned to treatment with Azodyl or a placebo. They were otherwise treated identically according to a standardized algorithm for managing kidney disease. They were evaluated in terms of comprehensive bloodwork, body condition, and owner perception of quality of life and 7 time points from 1 month to 1 year after the start of the study. No significant difference in any measure was found between the groups at any time point. The Azodyl was given as an intact capsule in this study, which eliminated the possible concern about the probiotic organisms being destroyed in the stomach that was raised in the cat study, in which the Azodyl capsules were opened and the product sprinkled on the food. The supplement was also given at twice the manufacturer’s recommended dose. Some of the dogs did have episodes of urinary tract infection during the 12 months of the study and did received short courses of antibiotics, which could potentially interfere with probiotic therapy. But this seems insufficient to entirely invalidate the rather startlingly consistent, negative findings of the study. And since infections are a common and unavoidable problem in kidney failure patients, if the therapy is so easily rendered useless, it would not be of much benefit in the even less controlled conditions of standard clinical use. Of course, almost no single study should be taken as the final word on any therapy. However, negative results are likely to be more reliable than positive results, and the balance of the evidence is so far pretty negative concerning the usefulness of probiotic therapy for kidney failure. There are theoretical and in vitro study results which suggests that the best one could hope to achieve with probiotic therapy in kidney failure patients is a 10-20% decrease in bloodwork markers of renal failure, which might or might not be sufficient to meaningfully affect the clinical symptoms and the course of the disease. Certainly, in the face of being unable to routinely employ dialysis and transplantation, the most effective therapies available for humans with kidney disease, we should employ any treatment that offers a significant benefit, even a small one. But at this point, it doesn’t look like probiotic therapy holds especially great promise for this disease, unlike some of the other possible conditions in which it might be useful. In any case, there doesn’t seem to be a strong case for suggesting owners spend their money on this product based on the evidence so far available. 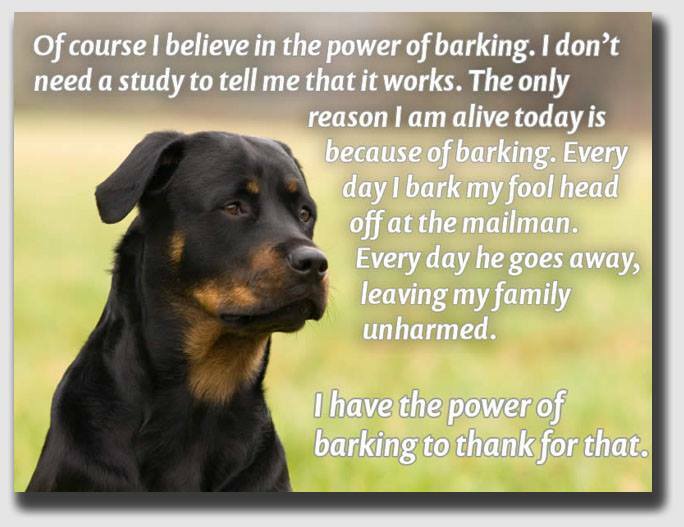 And the negative findings so far seen in clinical studies of dogs and cats point out the danger of extrapolating from limited studies in other species. The company-sponsored studies in rats and miniature pigs with artificially induced kidney disease have not proven an accurate indicator of the product’s performance in cats and dogs with naturally occurring kidney failure. Of course, the first thing to remember is that there is no reason to believe Azodyl does anything useful at all, so that reduces any worries about how to give it. If there is a confirmed infection, then antibiotics are very important and should take precedence over unproven treatments. One can actually give probiotics and antibiotics together, and in fact the best proven use for probitoics is in reducing the risk of diarrhea caused by antibiotics, so that isn’t the issue so much as the lack of any evidence Azodyl is worth giving at all. i can only say my dog is so healthy after i abandoned that all western medicine. she like all the others in the clinic was given death sentence but those under doc marga who chose to introduce five leaf pet pharmacy r doing well. we still do subq the western med aspect n homeo for her heart but when the sitter made a mistake in prescribing the azodyl her blood test changed for the worse. i gave my dog blood test so often so its documented. i went thru trial n error n spent so much money. n happy. there is no specific combination cause each to his own. you hv to be as willing as me to spend to declare what worked for ur dog. the vet is sceptical as always re homeo but remains amazed in cookie one of a kind recovery. i really feel sorry for the others who dont know this option so i shared mine so they can try rather than see their baby die. the beauty of this generation is we get to hear others experience. we get to hear things the pharmaceutical companies have been hiding from us. at the end the winner is someone who beat the odds. n its usually someone who took advice from east n west school of thinking. im just curious do u hv a pet that has crf..did it survive with just these meds n subq n those processed foods. if u do u will be more convincing. Our 11 yr old Yorkie/Silky mix was lethargic, losing weight, and leaking urine about 2 moths ago. Took her to the vet within a week of symptoms. She had a UTI, and blood tests showed she had kidney disease. Prognosis was, if untreated, she had 3 to 6 months. Vet recommended strict kidney diet, epiakitin, and azodyl as per manufacturer directions. We immediately stopped all hi protien food and treats and started feeding Hills Prescription Diet Kidney Care K/D w/chicken canned food and Hills P D Kidney Care K/D dry kibble, and treats, along with directed dosages of the Azodyl and Epakitin. She has gained all her weight back, and her blood test last week showed all her kidney numbers were greatly improved. And she’s back to her old self, the toughest 12# Yorkie around. Vet was thrilled and said she now has 3 to 5 years left (clost to a normal life span) instead of only 3 to 6 months! We are thrilled also. Her diet/ supplement is relatively expensive, but we will not change anything! We have our Sissy back! It’s great that your dog is doing so well, but of course it likely has nothing to do with the Azodyl and everything to do with all of the other, proven medical treatments you are using (antibiotics for the UTI, a renal diet, a phosphate binder, etc.). Five leaf pet pharmacy? My dog is in kidney failure. What exactly do you give your dog?